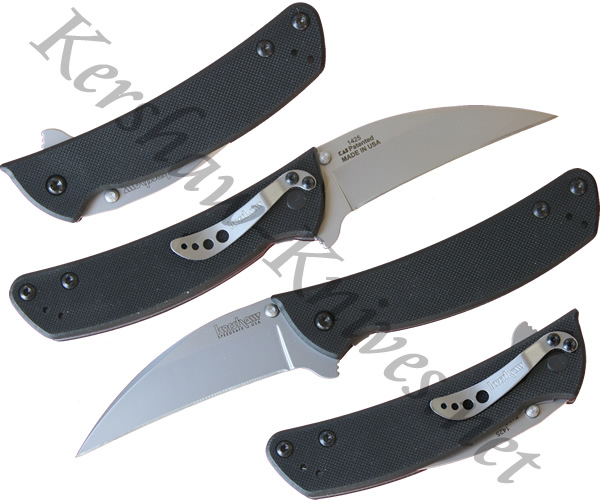 The Kershaw Talon II model 1425 is designed for applications where the user cuts using a pulling action. The Talon II knife excels very well in applications like cutting webbing or rope. The blade is made of Sandvik 14C28N and is assisted opening. To activate the assisted opening simply use the thumbstuds or the flipper on the back of the handle. The G-10 handle gives you good grip even during wet use. A pocket clip is included that can be configured for a left, right, tip-up, or tip-down carry.